Adventures of a Thrifty Mommy: One Year Blogversary Event: Happiness Is... Peanuts Snow Days Review and Giveaway! - CLOSED! One Year Blogversary Event: Happiness Is... Peanuts Snow Days Review and Giveaway! - CLOSED! Warner Brothers released a great new Peanuts DVD on October 18th entitled Happiness is... Peanuts Snow Days! I have always loved watching Charlie Brown and the gang and am so excited to share it with my kids! What is a kid's favorite thing about winter... snow days of course! This DVD contains the TV special "She's a Good Skate, Charlie Brown, where Peppermint Patty trains for a figure skating competition with Snoopy as her coach! Also included is an episode of The Charlie Brown and Snoopy Show that features three short tales: The Play, Sweet Babboo! and Snoopy's Story. My whole family enjoyed watching this DVD together. It's so great to share some of my childhood memories with my kids! The Peanuts gang is sure to bring lots of happiness to your home this winter! Everyone’s favorite Peanuts gang is at it again in Happiness is…Peanuts ™: Snow Days. Follow Snoopy and gang in an episode from The Charlie Brown and Snoopy Show and the newly re-mastered classic She’s a Good Skate, Charlie Brown TV special all on one DVD! You can purchase Happiness Is... 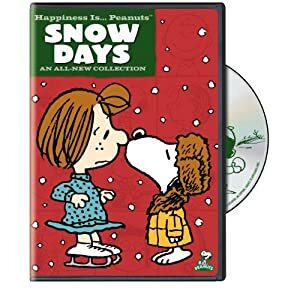 Peanuts Snow Days on Amazon for $9.99. 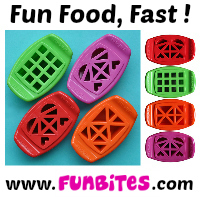 This giveaway ends November 9, 2011 at 11:59 pm. Good luck! GFC follower. Snoopy is by far my favorite. I'm a GFC follower! and we are awfully fond of Linus around here. :) thanks for the giveaway! I entered the Howard Wigglebottom giveaway! I am a public follower of yours on Google Friends Connect (Carolsue) and I like Snooby the best! I would love to win this, I have been watching peanuts for years! My fave is Linus. I follow you on GFC. GFC follower, I entered the lunch bag. I entered the Waterford press giveaway. GFC follower (LLL with Leslie) and my favorite is Snoopy. I entered the NachoMamaTees giveaway! and my favorite is a tossup between snoopy and Lucy.